Sadly, poaching of smaller wild animals, reptiles and birds generally goes unreported. 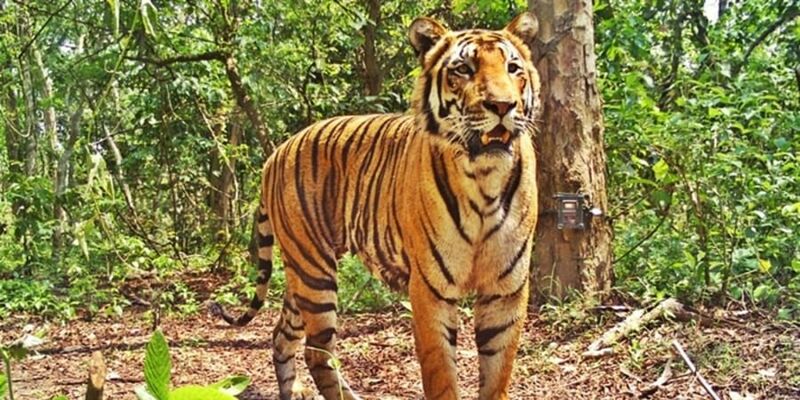 NEW DELHI: Despite all efforts by forest departments across the country, poachers continue to be a huge threat to wild elephants, tigers, and rhinoceroses as official data reveal that over 50 people are arrested each month on charges of wildlife poaching. Data collated by the Ministry of Environment, Forest and Climate Change (MoEFCC) shows that though 2,269 people have been arrested since 2015 in poaching cases, and 1,224 cases registered in various states, conviction took place in 126 cases only. The majority of registered cases involve big wild animals like elephants, tigers, leopards and rhinoceroses as they are hunted for skin, bones, teeth and horn among other body parts. Sadly, poaching of smaller wild animals, reptiles and birds generally goes unreported. “A wildlife crime database has been developed to check online trade. Advisories on poaching and illegal trade of wildlife are issued to states and central agencies concerned for preventive action,” said Mahesh Sharma, Minister of State, MoEFCC. According to TRAFFIC, the wildlife trade monitoring network, illegal wildlife trade is an ever-evolving global crime that is increasingly getting more sophisticated and organised. Considered to be high-profit and low risk, it is attracting organised criminals, who in turn pose a threat to national and global security, besides endangering the future of our wildlife. On its part, TRAFFIC is working with authorities to train people in handling wildlife crimes online.